Can't see the product you're looking for? 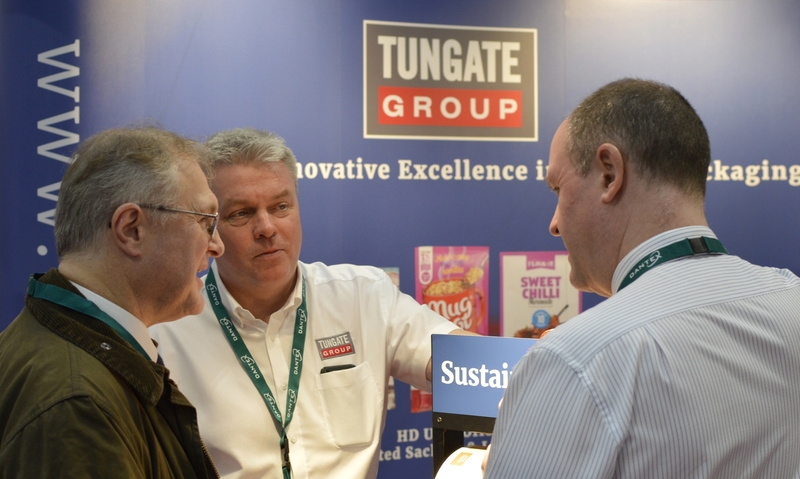 Following extensive trials and supplier collaboration, Tungate were able to launch an exciting range of new paper faced sustainable flexible packaging products at the recent Packaging Innovations Show in Birmingham. Of most interest in what proved to be a very busy 2 days, were our new fully compostable & recyclable barrier papers which are now available for immediate trials and suitable for a range of food and non food products, especially snacks, pulses, dehydrated sauces & meals, confectionery etc. Also on show were sample reels of paper / barrier pe which is in the process of being assessed by the OPRL for recyclability status. Commenting , Tungate’s Sales Director Gareth Partlett was enthused by the response ; “on every new project, the first question we are asked by brand holders is regarding the material’s sustainability. For the first time we can now progress such projects in a confident manner, backed up by stocks of the base material. Given our unique conversion abilities via our web offset litho machines ( = competitive MOQs, unit costs, leadtimes and gravure equivalent print quality ) , these are exciting times for us “. Looking for a packaging or printing solution?